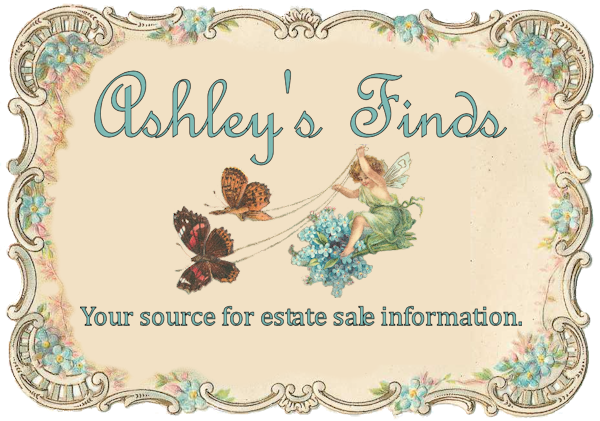 Here’s another huge list of estate sales, auctions, and events for this weekend! 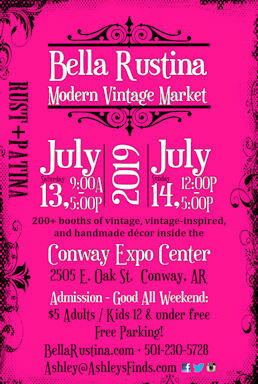 Happy junkin’! The staff requests that “no children” in the house. As mentioned above, this house is compact and full. Limited walking area and highly breakable collectibles. We are sorry for the inconvenience but we are responsible for the estate contents. Small compact home – full (500+) of exceedingly sought-after collectible smalls. Living Room Area 100’s of small items including – Lladro, Cybis, Occupied Japan, Baccarat, antique cast iron doorstops, vintage glass candy containers, 1914 litho tin candy container buildings. adv. thermometers (coke, barges, 7-up, royal), 1930’s German comic Nodders – Uncle Willie, Moon Mullins, …., satin glass animal figurines, pottery, 1920’s beaded purses, Maxfield Perrish prints, old photos, 1950’s Catholic & Mt. St. Mary yearbooks, beautiful Victorian jewelry box, rare horn/noise maker, teakwood carved chest, burl walnut armoire, Hales 4-stack lawyer’s bookcase, Sessions mantle clock, collectible plates, (2) large oak framed prints, female Wayang theater hand puppet …. Dining Area Wall and mantle clocks – Sessions, English, Seth, German, Waterbury, Mission…, for those who are very serious about Disney Collectibles – 100+ retired and sought-after Disney figurines (please view photos) with original boxes, 7′ Disney display glass case, unusual size “Cottage/Jacobean” china cabinet, vintage oak wall hanging medicine cabinet, Walnut drop leaf secretary, Gorham Calais flatware, sterling & silverplate…… Kitchen Yellow ware, McCoy, Franciscan Desert Rose, pyrex, Fenton, everyday kitchenware, 1940’s drop leaf kitchen table, washer, dryer, glassware, china,…. Hallway & Closet Areas Framed art, collectible whiskey decanters, cast iron doorstops, linens, pic. frames, vcr tapes, chair side table, …… Doll Room Huge collection of dolls including Madame Alexander (portrait, Elise..), Around the World, Robin Wood, character dolls, Nancy, Revolon, Effanbee…. white wicker baby buggy, child’s tea sets, spinet desk, 6 1/2′ walnut display cabinet, Ruby Red glass chandelier, antique oriental rug, Emerson Oak Upright Grand piano….. Holiday Room Lloyd Loon wicker buggy, Eastlake walnut parlor table, barley twist oak side table, retired Snow Babies (most with boxes), Hallmark x-mas ornaments of all sizes, snow globes, vintage Santa ornaments, luggage, purses, mink cape, 100’s of small in this room. Bedroom Oak highboy chest, burl walnut armoire, maple full size bed frame, whiskey decanters w/boxes, collectible mini figurines, Precious Moments, books, alarm clocks, ball/claw antique piano chair, cedar chest, – this room is packed….. Garage & Yard Overflow of everything – holiday, tools, toys, glassware, kitchenware, there will be10 tables in the yard just to thin-out the overflow of this packed garage. Only thing missing is the kitchen sink. House and garage full! Small tables, chest, china cabinet, washer, dryer, refrigerator, kitchen set, reclining loveseat, all kitchen, hide-a-bed sofa, Haviland china, bric-a-brac, linens, glassware, and much more! Leather Sofa, large secretary, decorator console, large mirror, china cabinet, buffet, beautiful chest, large desk and chair, queen mattress, box springs and frame, recliners, over 500 science fiction books and other best sellers and 1st editions, 10 book cases, Waterford, jewelry, cat collectibles, 2 Bernina sewing machines, over 300 brand new with tags Disney Collectible stuffed animals, water globes and wall art pieces, lamps, luggage, full kitchen, tools, home office supplies, Christmas, generator and much more. This is an awesome estate from Bill and Wilma Graham. Bill was the political cartoonist for the Gazette for 45 years and we have a huge collection of original sketches and watercolor paintings. Wilma was an avid collector of crocks, cast iron trinkets, rolling pins, plates, colored glassware, and items decorated with roosters 🙂 Tons of vintage and antique furniture is here, a huge collection of old cameras and electronics, lamps & light fixtures, a doll house from the 30’s with furniture, a custom made chest/mirror for a little girl, china hutch, lawyer’s bookcase, beds, chest of drawers, vanities, drop leaf tables, chairs, sewing machines, fabric & notions, clothing, W/D, BOOKS, and a FULL kitchen. Outside offers a metal glider and chairs, parlor chairs, tools, lots of iron decorations, SO MUCH MORE. To Benefit Partners Against Trafficking Humans. All proceeds go directly to providing services for survivors in our state. 8 full rooms of merchandise. Dining room, living room and bedroom furniture. We have appliances, decorative items, lots of kitchen items, linens and towels. Men’s, women’s, children’s clothes and shoes. We have a room full of Christmas. 2004 Chevy Venture LS (mini-van) 188k miles in white; rifles, shotguns & pistols (full list below – be sure to look at photos also. Please note, pistols & revolver are in fantastic shape but all of the others have varying degrees of rust damage. They are priced accordingly. For questions regarding firearms, please call John: 501-607-4747), grandfather clock – Howard Miller, kids toys, toddler bed, great kitchen – pots, pans, Pyrex, Noritake, sm. appliances, serving pc.s in silver plate, every day dishes & glassware, stemware, electric smoker, sofas, armchair, wing-back, recliner, Full size bed & matt. set, Qn size matt. set & headboard, china cab., buffet, console, sm. glass-top table & 4 chairs, wood dining table & 4 chairs, area rugs, panel TV by Sanyo, washing machine & electric dryer, lamps, framed art, office supplies, elec. typewriter, book case, books, antique dolls, holiday decor, model ship, and more!! Guns: Dan Wesson 357 Magnum CTG Revolver, Smith & Wesson NVE 9mm, Smith & Wesson 40 caliber Mod. 4046, Marlin 30/30, M-1 Carbine, Remmington 20 GA, Remmington 12 GA Magnum, Stevens 410, Savage 410. Rifle, shotguns (full list below – be sure to check out the photos. For questions regarding firearms, please call John: 501-607-4747), compound & cross bow, hunting & fishing equip. & clothes, gun racks & cabinets, hand-carved decoys!! Great kitchenware – Butcher block on legs, Pampered Chef, nice pots/pans, sm. appliances, china hutch, glass-top dining table & chairs, Frankoma dishes & serving pc.s, pub-ht patio table & chairs, reg. patio table & chairs, sofa, coffee table, area rugs, bookcase, books, pr. of victorian chairs, hall tree/wash stand, vanity, night stand, framed art, two 4-poster beds, sm. writing desk, matching dresser w/ mirror, chest and nite stand, King matt. set, elec. mower, Lg. desk and more!! Guns: Browning Model 65 .218 BEE, Browning Maxus 12 GA, Browning 12 GA Invector – Plus BPS MIJ, Browning over & under Citori Special 12 GA MIJ, Winchester Model 1200 20 GA. Antique furniture and glassware. Lladros, Blue Delft, Dept. 56, Precious Moments, Beanie Babies and other collectibles. Vintage phonograph records, Bridge card game set, dressing tables, treadle sewing machine. Artwork, scrap booking supplies, books, cookbooks, Wilton bakeware, rugs, lots of Christmas dishes, indoor and outdoor decor. Drexel Heritage sofa, loveseat, tables and occasional chairs. Large curio cabinets. 3 dinette sets, King size mattress and boxsprings, bed rails. Maytag washer and dryer. Snow skis, luggage and much more. Thousands of cans, signs, lights, glasses, bottles, and memorabilia will be on sale. Walk-ups welcome. Bring your old collection from your attic or a single can you have on your self – we will price and perhaps make an offer. Old light in the garage or looking to empty a man cave? We can let you know what you have and make an offer. We are a non-profit organization and a charter of the BCCA. There is a huge raffle at the end of the show for Neon signs, tins and Steins along with other items. 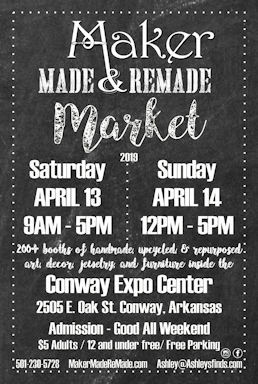 Monthly open-air vintage market for vintage (20+ years old), antique (50+ years old) and upcycled/recycled items. Second Saturday, April-October. Things are coming together for this months outdoor market! Salem Produce has said they will be back with fresh veggies! Rick’s Beignets and coffee truck is doing everything he can to be open starting Friday! We will have hot dogs on the grill and the Sno to Go shaved ice will be there serving up some cold treats! This month we will have a DJ!! Chippendale upholstered sofa, leather wing back chair, Oak lingerie chest, Oak roll top desk, 3 pc. walnut finish bookshelf unit, Birch writing desk w/ book shelf ends, Duncan Phyfe dining table & china cabinet, Victorian natural wicker rocker, Cherry Bachelor’s armoire, La-Z-Boy recliner, Victorian 1800’s stroller/high chair, black swivel bar chairs (2), Chippendale arm chair, vintage 1970’s console stereo, Chippendale media center, antique George A. Prince & co. 36 key Victorian pianoforte, Oak lateral file cabinet, Peace snare drum w/ case & stand, vintage children’s books, Agatha Christie books, Dept. 56 Houses & trees, Waterford crystal, vintage black & white photos, vintage dolls & buggies, Niloak, Camark, Stangl, Hull pottery, assorted small lamp & side tables, linens, wii fit, Fenton glassware, decorator table lamps, globe on a stand, brass floor lamps, cammo hunting clothing, tools & outdoor items, camping gear, shop vac, choice on rolling racks of household items, box lots, and more!